A global visionary entrepreneur with over 15 years of industry experience spanning R&D, product development, business development, sales, industry evangelism, and general management. Hands-on involvement in engineering, planning, staffing, business development, marketing, sales. Known for initiating and delivering key strategic programs that resulted in measurable contribution and winning business cross different geographical locations. Tarik's passion, leadership style brings together ideas from diverse cultures and groups. Through passion, discipline and dedication he established to harness technical, business and entrepreneurial IQ to nurture breakthrough innovation. He built over the year significant relationships with key leaders in high technology companies, universities, and in governments and their national labs around the world. His contribution to innovation in law enforcement and public safety has been discussed several times at the NSW Australian parliament. 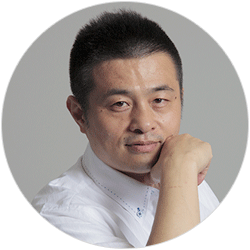 He is the author/co-author of over 20 journal and conference papers, and holds several patents in the area of image processing and sensors. For his excellence and outstanding contribution to innovation, he is the recipient of the Australian "Pearcey Special Recognition Award" in 2009. From 2000 to 2003 he was with Motorola labs working on advanced CMOS image sensors. 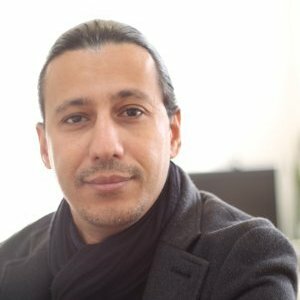 In 2004 he founded Digisensory technologies where he was involved in the development of a new generation of visual intelligent processors for 8 years. As of October 2012 he is with VIMOC Technologies developing a new generation of cognitive computing machines for IoT applications.